Cards you created. Ideas we love. As any high school grad will admit, planning your grad party is one of the first tests you will face in your new status as a young adult. From the invitation to the decisions about what to serve, where to have it, who to invite and what activities to include, the planning can put a lot of stress on the grad and her family. 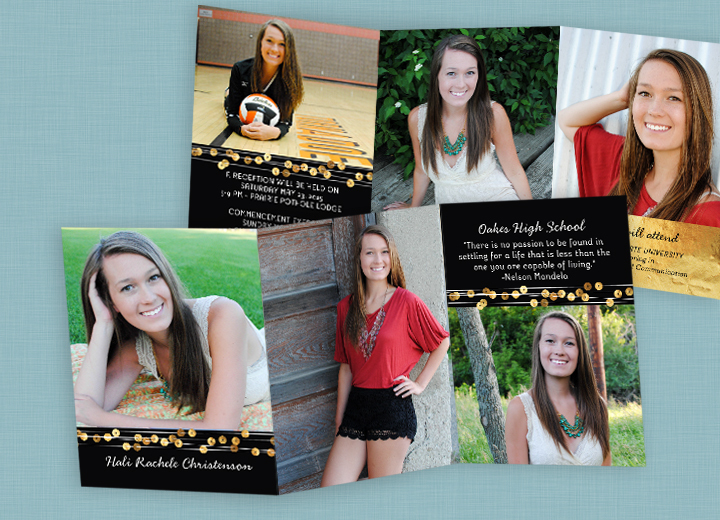 Hali, a 2015 grad, took her duties in stride and created her own graduation invitations. Good luck to Hali and all of our 2015 graduates. Your initiative and creativity will take you far!